Bringing seven years of public accounting experience with him, Jaime joined the Goldin Peiser & Peiser team in late 2016. In his role as tax manager, he works with a variety of clients, including construction and contracting companies, real estate companies, healthcare and medical practices, and oil and gas companies. In addition to tax preparation and planning, Jaime has assisted clients with preparation of SEC 10-K filings, and consulted with small businesses on entity structure and setup of payroll and other accounting systems. Jaime previously worked for a Dallas area CPA firm, where he developed and managed client relationships and worked on tax and audit engagements. Described as dedicated and full of heart, Jaime strives to develop lasting partnerships with his clients. Jaime was inspired to go into accounting after a high school teacher challenged him to succeed by taking an accounting class instead of another math class. 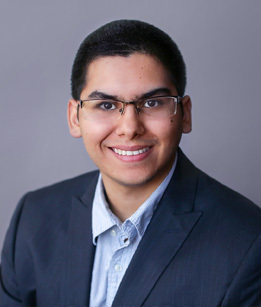 This sparked his interest in competing with classmates who excelled at accounting and created a lifelong desire for Jaime to develop his accounting skills and exceed his clients’ expectations. A native of Fort Worth, Jaime has lived in the Dallas-Fort Worth area for nearly all of his life. He currently resides in Grand Prairie with his fiance and their puppy. His leisure time involves spending as much time as possible outside, including camping, relaxing by the water, and playing golf and other sports. Jaime also enjoys spending time with family and friends, and playing card and board games.